Make sure the feeder and drinker are full. 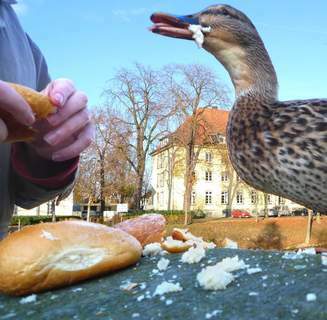 If it is extremely cold make sure that the water is not frozen, preventing the ducks from drinking. Open the Eglu door. 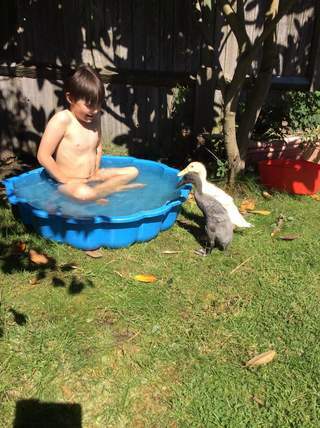 to let your ducks out into their run in the morning. If you are going to be around you can let your ducks out of the run to roam free. If you are not going to be there and you can\'t be sure that a fox won\'t get into your garden, it is better to leave the ducks in the run. Collect your eggs! Regular collection will help prevent any damage to the eggs and discourage your ducks from getting broody. Check the position of the shade. 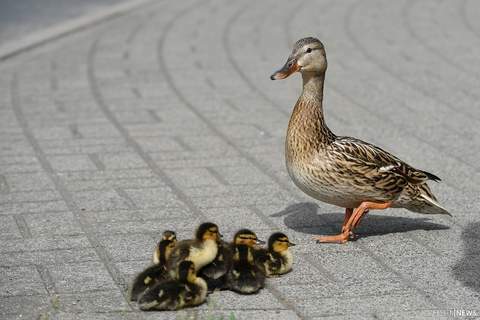 Although ducks are quite able to withstand cold and wet conditions they don't like bright sunlight so make sure that during the summer, the shade is positioned to provide ample shade.